Below are questions that every home buyer should ask their prospective home inspector. These questions can be found by searching the internet for "10 Questions to ask your Home Inspector." I have them listed with how I would answer them if asked. A: Jim (owner) has been inspecting residential properties since 2007, and is a Certified Master Inspector. In that time Jim has inspected over 3000 properties. Q: Do you have the proper licenses? Here you may need to educate yourself on the requirements of your geographical area, as licensing requirements may vary from state to state. A: Colorado does not require home inspectors to be licensed or certified. 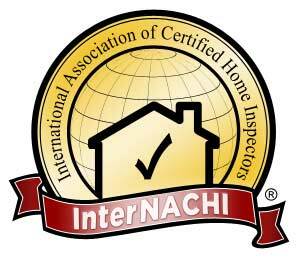 However, OZ Property Inspections holds double certification the first is with AHIT, and the second with InterNACHI. Additioanlly the InterNACHI organization requires its members to perform 24 hours of continuing education yearly..
One of the best ways to establish confidence in a home inspection company is to hear from others that the job was done professionally, thoroughly, in a timely fashion and at a reasonable price. Ask to see references from others who have been happy with the company’s work. A proper home inspection will always include a written report. Never accept a verbal report only. In addition to providing all the details of the inspector’s findings, a written report is your only recourse should differences surface after the inspection. A: A written report is provided within 24 hours of completing the inspection and sent to the buyer and the buyers realtor via email in PDF format. Normally the report is sent the same day the inspection is completed. Here you want to be wary of inspections that are extremely long or way too short. An average inspection should only take two to three hours and any wide variance may indicate either a lack of experience or a shady way to charge more. A: . 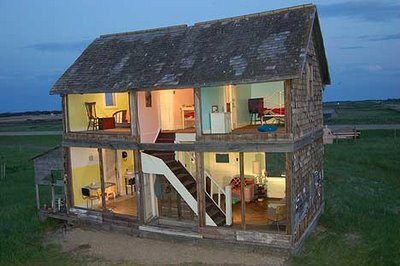 Depending on the age and square footage type of property an inspection will usually last 2.5 – 3 hours. Obviously a condo or townhouse will take less time but larger the home the longer it takes..
Charges for home inspections vary from company to company. It is wise to get a price from several companies in order to ensure that you are getting a fair price. Remember too, that the most expensive price is not necessarily going to be the best inspector. You still want someone with lots of experience and knowledge. A: Our pricing is based on total square footage of the home, it is never based on age, location or selling price. Additionally our price schedule has been adjusted to hopefully aid home buyers in deciding to "NOT" skip on the home inspection. The home inspeciton is generally a very small fraction of the total purchase price of the home. 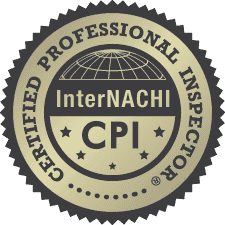 You can find the cost of your home inspection by visiting our Services page, understand that these prices are subject to monthly discounts so please call us for those discounts, 303-548-8321. Q: Will you provide an estimate for repairs? While a home inspector can recommend what work needs to be done and should be done to a home, the actual cost and estimates for repair work must be obtained from a professional in that field. A: We do not provide estimates for repair but we do have a reference list that has trades that we trust to help you make the repairs. We are not going to offer to repair your new home, our sole job is to tell you what needs to be take care of and give you advice on how it can be fixed. Q: What is the lead time for an inspection? Time is often of the essence when arranging a home inspection as the condition in the offer will be for a set number of days. Be certain your inspection can be arranged, completed and all reports available for your consideration in ample time to meet the condition. A: OZ Property Inspections will always try to meet your needs and help you meet your deadline. Be absolutely certain that the answer is yes! If an inspection company suggests that you not be present, they are not the company you want! A: We always encourage the buyer to attend the inspection. This is the time for them to learn more about their new home and ask questions they may have. They get 2.5 – 3 hours to wander around the home, turn on lights, run water and generally look over their new home with out undue influence from anyone else. Make certain you are clear on the accepted methods of payment and when payment is due. Payment should not be required until the inspection is complete. A: OZ Property Inspections accepts credit/debit card, checks, and cash. Copyright © 2012 OZ Property Inspections All Rights Reserved.